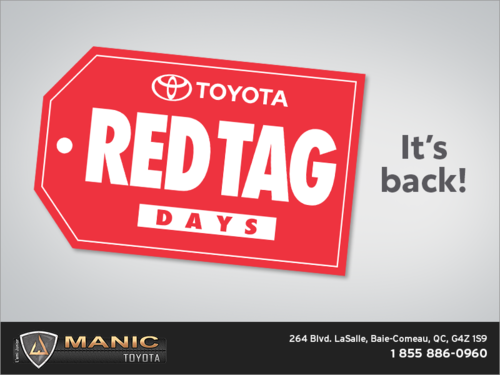 The special offers at Manic Toyota will be able to help you save on all the services and vehicles that you find here. 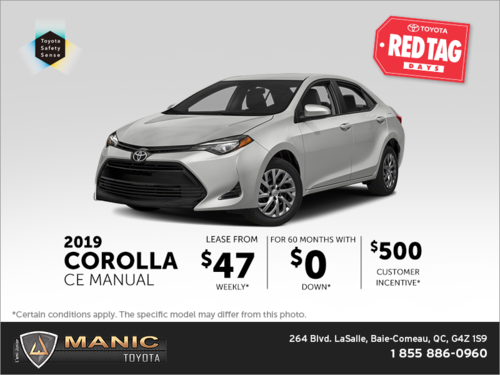 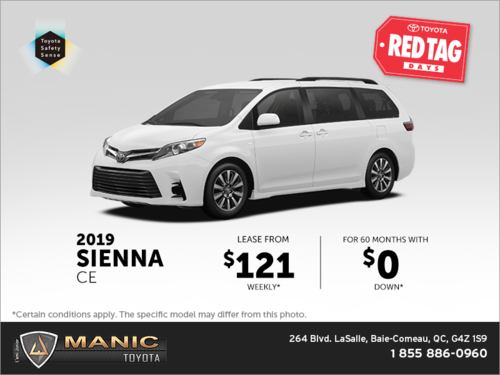 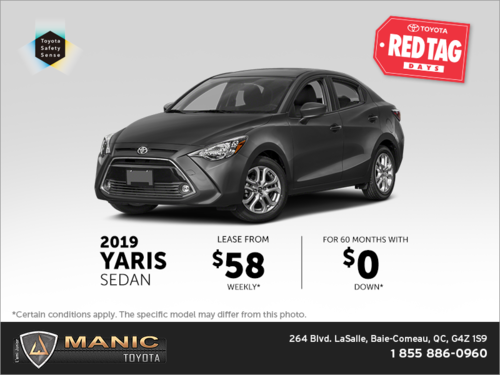 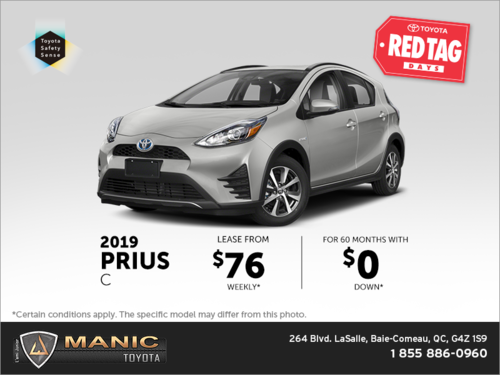 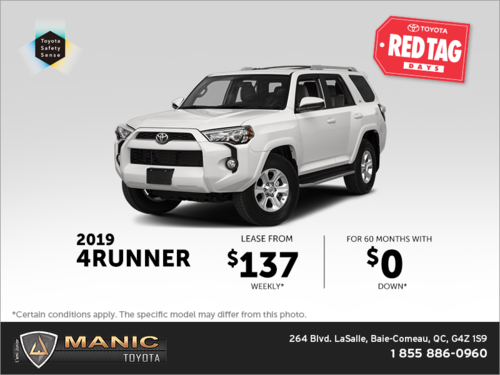 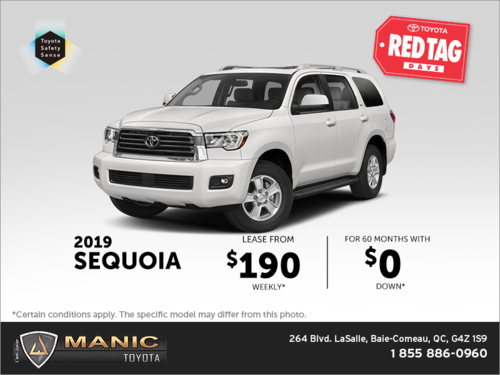 Whether you are looking for a new vehicle, a pre-owned vehicle, or for the maintenance and after-sales service of your car, Manic Toyota knows very well the importance of giving you more for your money. 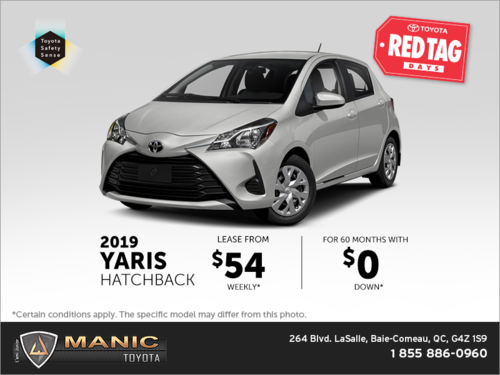 That's why we make sure to offer you several new monthly special offers as well as the latest Toyota manufacturer promotions. 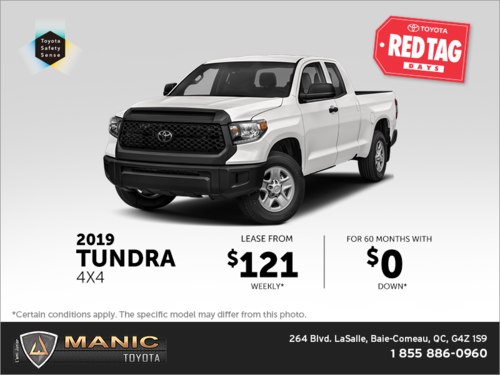 Our special offers cover all of our services such as maintenance and repairs, detailing services, our parts and accessories department and our summer and winter tires. 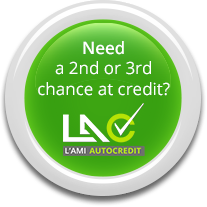 Whatever your needs, the time of year or the service or product you are looking for, you will find it with a special offer to save you money. 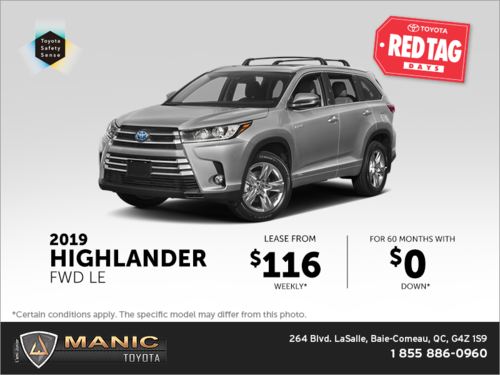 Come and discover our offers and promotions on our new Toyota vehicles as well as our pre-owned models today. 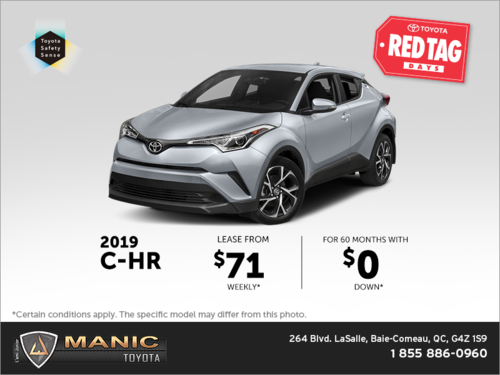 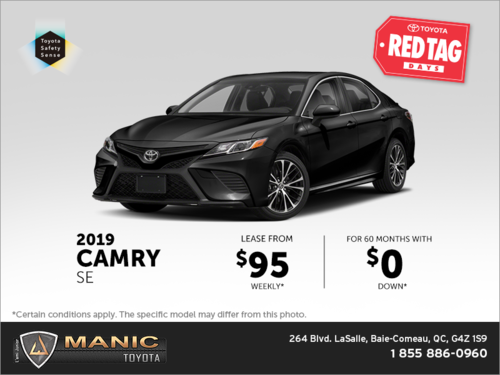 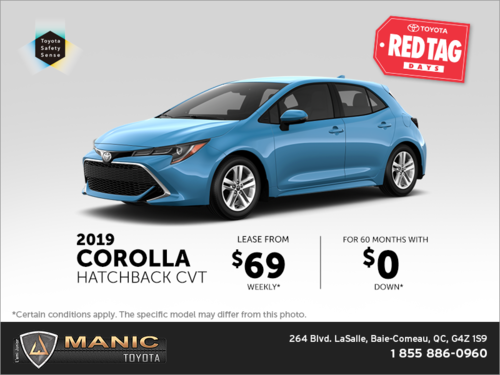 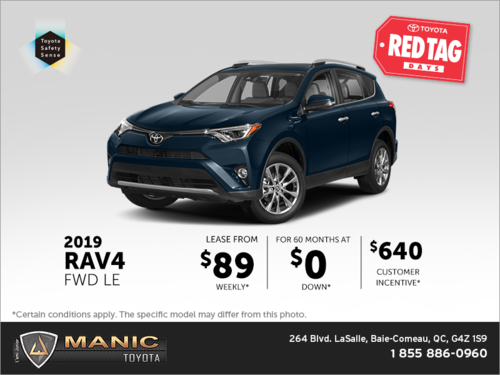 From cash discounts to financing offers with low-interest rates, it's easy to save when you buy your next new or pre-owned vehicle at Manic Toyota in Baie-Comeau!